Over The Horizon | Let's see what's out there. Every so often my father and I venture into some interesting philosophical territory, and I manage to convince him to write his thoughts down because they’re just that good. Herewith, the result of our discussion on the “Internet of Things”. While scientist and academics attempt to build their perception of a DNA that personifies their egos, the only real “manufactured” DNA is the living INTERNET, an organic system evolved over nearly half a century by humans of every ilk and culture. The Internet of Things, relegated to the simple acronym IOT, is meant to comprise all of what the internet touches now, from your TV and your telephone to your light bulbs and appliances. It seems there is nothing that can’t be tied in. What those three words have done in the process, however, is to demean humans and drag us back to the ancient Babylonian belief that we all are merely elements of a global aggregation of things subject to the machination of nature, like a rock, a tree, the rain, or a volcanic eruption. These “things” have no will of their own, but only yields to the unpredictable will of nature and to those who assume the presumptive leadership to define who or what belongs to this population of things and their place in it. This, then, leads to the introduction of new “gods” to whom the “things” must subordinate themselves by surrendering their “free will” to self appointed masters. Are not those who labor at the keyboard, the mouse, and the notepad humans with free will? Do they not think freely, create freely, and love? Is this phenomenon called the INTERNET not an open and glorious system of simple, yet genetically alive elements constantly expanding to grasp the ever changing demands requested of it? The answer to all of these questions is YES! 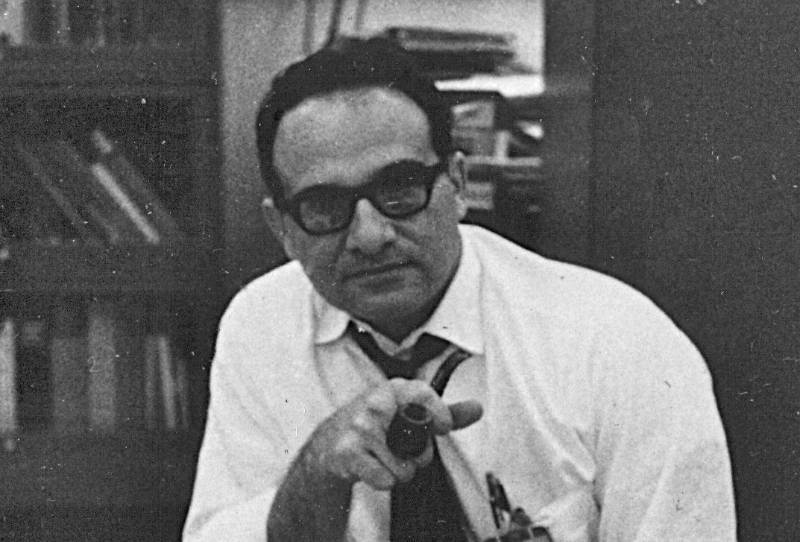 In “The Moon is a Harsh Mistress”, Robert Heinlein posited nearly half a century ago the notion that a system that was tied to so many “things” could actually wake up and become human by virtue of the sheer number of connections. How far have we fallen since then, to believe that we are now to be subsumed into a giant machine universe, fated to be little more than its scribes and interpreters? Many years ago I wrote that the Internet represented an explosion of a new kind of freedom, a freedom that human-constituted governments must seek to squash. When a population participates in this “squashing”, they must descend into their leader-defined position as a “thing” and be content tend to their limb trimming, rock polishing, and flood control. Why “Over the Horizon”? 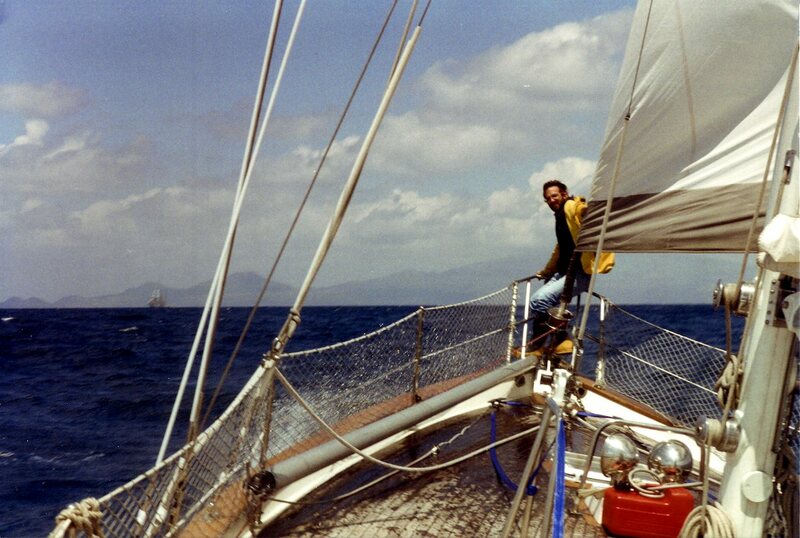 Having crewed on several bluewater sailing trips, I am fascinated with the circle of familiarity that develops around a boat underway. For long stretches, the horizon never changes, yet we constantly scan it for the first glimpse of another sail, the stack of a commercial or naval vessel, the comforting beam of a lighthouse, or land. The horizon can also hide something that is approaching us, with intentions good or ill. Is it an overboard container moving below the radar? A ship that may not be able to see us? An approaching storm? A fair wind coming up to fill our sails again? Attempts to see over the horizon have driven much of our technology, from watchtowers to airships to satellites. We rely on whatever vision our inventions can provide, plus experience and a touch of intuition, to give us the edge and keep us from being quite so surprised when that clean line in the distance is broken. As it applies to training, seeing over the horizon is about anticipating what’s ahead and preparing for it, and we can do that in three major ways: We learn what we can from other sources and from clues we gather (clouds, wave patterns, changes in pressure, for example). We practice for the expected and the unexpected in the form of man overboard drills, sail change practices in the dark, and even celestial navigation practice in case we lose GPS (Global Positioning System) contact. Finally, we use our desire for a safe and speedy voyage to motivate us to not just do things right, but also do them well. But seeing over the horizon is not just a technological challenge or a practical venture; it is an innate human desire to go beyond the familiar boundaries and explore, discover, and learn. In the context of this blog, it is an attempt to give (yet another) different view of training and technology. We’ll be looking at industry practices, new technologies, success stories, and whatever else pops up on the radar. So join me on the voyage, and let’s see what’s out there! The beam is sanded and prepped. 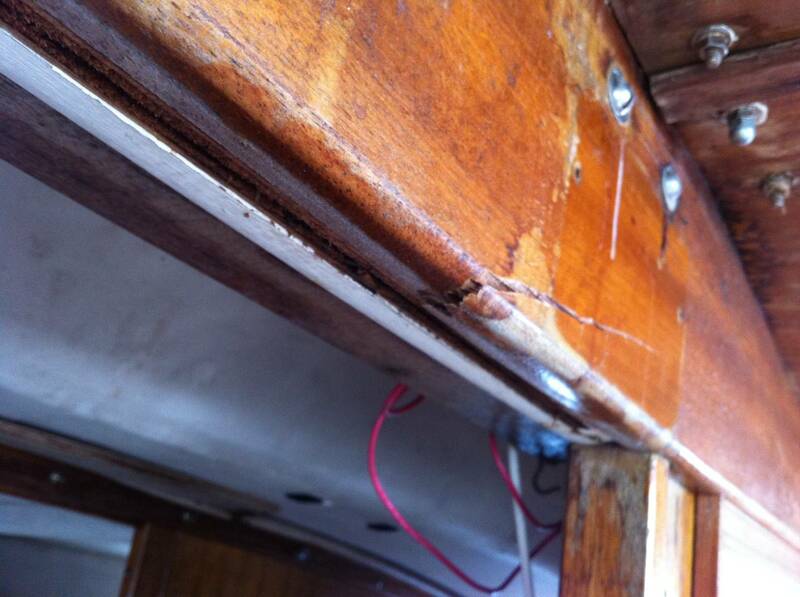 I finally gritted my teeth and looked at the water damage on the forward side of the bulkhead. Rotted beam and headliner forward of the main bulkhead. Centerline is through the metal plate at right. The beam and headliner have severe rot to the point of being useless. I won’t even be able to through-bolt the partner because of the rot. At this point, my temporary fix will consist of lots of West System, 3/8″ lags, and then a restoration of something solid on other side of the bulkhead. From the looks of the split in the beam, it’s been there a while. While there’s no wear, the wood appears oxidized – darker – than a fresh split would appear. Also, the leaks around the mast root and subsequent rot in the wood below it seem to have been there for quite some time. So, one step at a time. 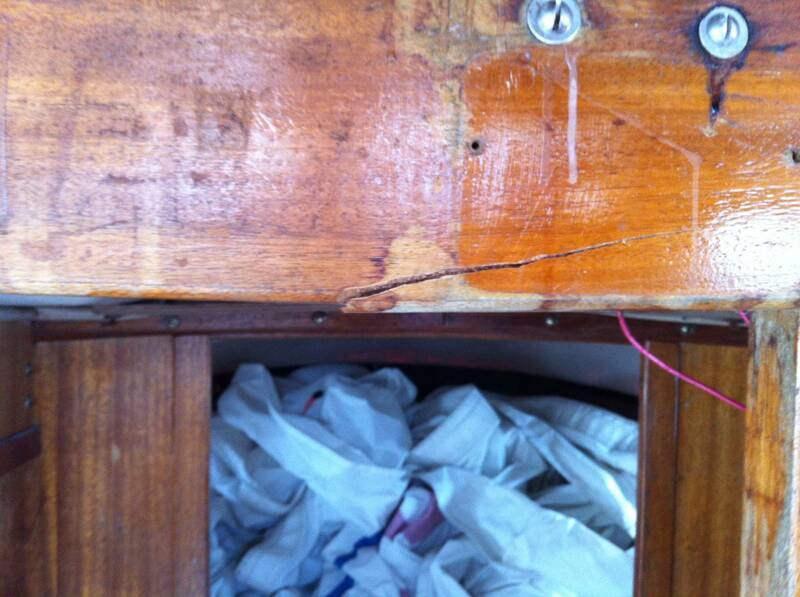 Patch the main beam crack. 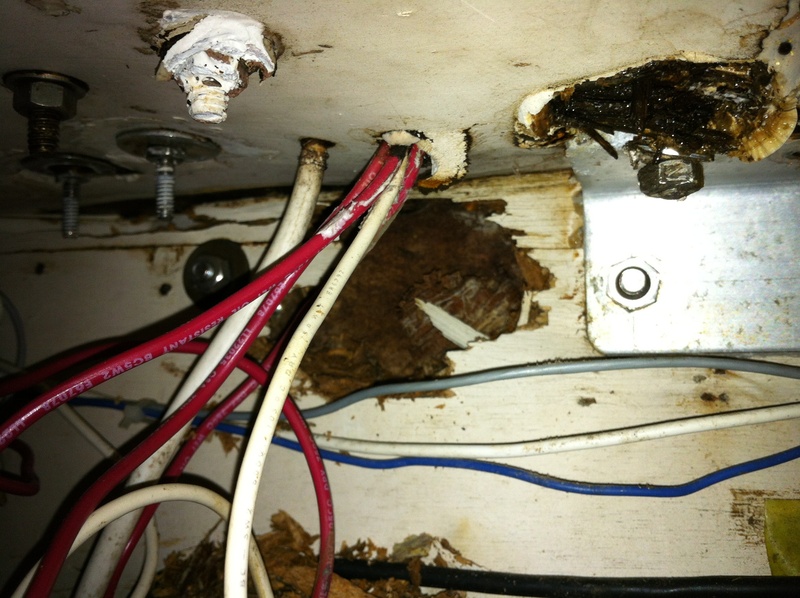 Clear out any rotted material and restore that area. Then, when I can drop the mast, I will replace both beams and the forward section of the headliner. 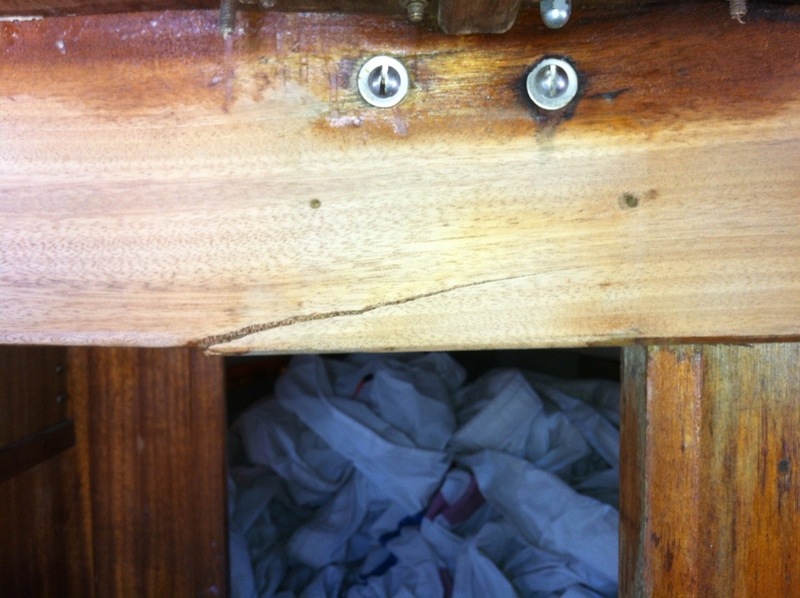 The main structural member for the cabin is cracked. I discovered it when I removed the old plastic clinometer so I could clean it up or replace it with a new one. I’m not sure if the crack occurred recently (as in, within the last 10 years) or if it has been there for a while as a result of being dropped from a TraveLift prior to my owning it. It’s not really important at this point, but I want to replace it eventually, and patch it in the short term. Fortunately, I have a nice stock of mahogany pieces saved up and was able to find a suitable piece for use as a partner. Once I have it cut to size and properly rounded, I plan to inject some West System into the crack, jack the beam back into alignment, and bolt the partner into place. Updates on progress will follow. I’ve been toying with restoring my 1967 Coronado 25 ever since I bought her in 1992, but I never got past the tinkering stage, opting instead to go out for day sails, perform basic maintenance to keep her afloat, and hang out with friends in the cockpit on a warm evening. It’s gotten serious, though. 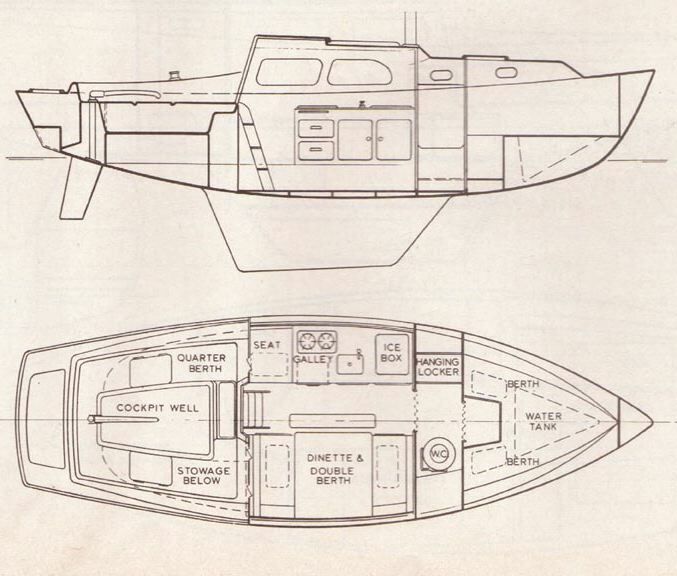 I started out simply wanting to restore the original cabin configuration, which the previous owner had undone by cutting the galley in half and moving it from the port to starboard side, thereby also taking up the nice seating area with fold-down table that serves as a double-berth. Now, I want a nice little cruiser that my wife and I can take off in for a few days and be comfortable, at least until I can move up to something a little bigger. Step 1 was to strip the cabin back to its baseline. 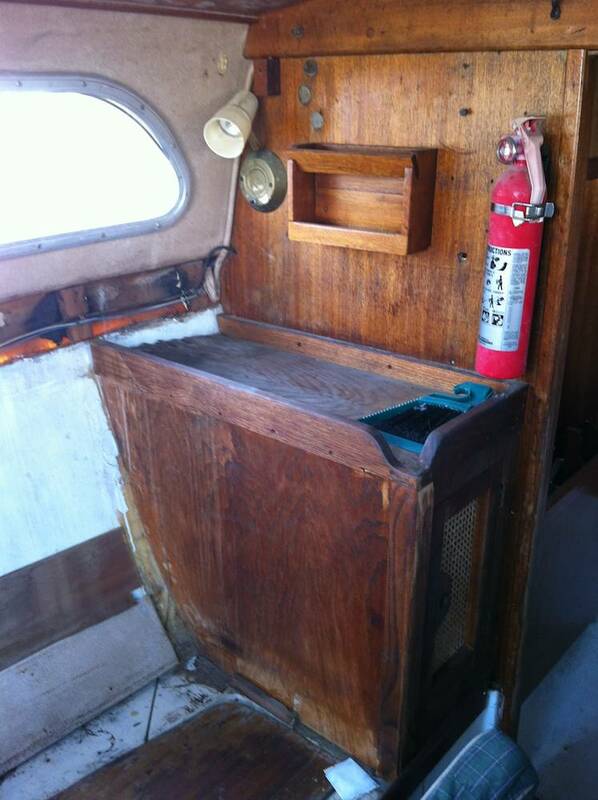 I wanted to restore the original galley, the remaining half of which I had long since replaced with my own configuration. 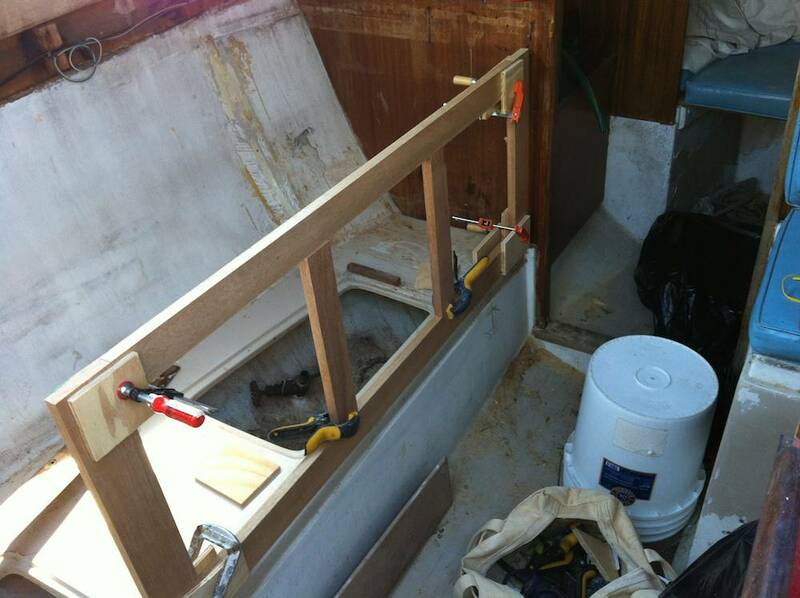 I stripped the port side down to the liner and found enough mahogany to build the face frame that matched the original galley size and configuration. What I didn’t know, however, was how the blasted thing was held in. I didn’t see any tabs, blocks, or screw holes in the liner that might have given me a clue, so I contacted the previous owner to see if he could remember. I am awaiting his response.